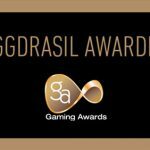 THE BIGGEST global players in the gaming sphere are set to whisk down the majestic red-carpet at the 6th International Gaming Awards(IGA) known as gaming industry ‘Oscars’ . The elegant event is only around the corner so dust off those ball gowns and tuxes! It takes place at the divine Brewery on 52 Chiswell Streetin London on the 4 February 2013 and has been dubbed the biggest gaming charitable event of the year. 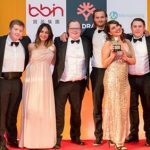 The crème de la crème of the land-based and iGaming sector have already secured their place at the industry event of the year. The IGA’s will be tied together by industry insiders, prominent professionals and exquisite entrepreneurs as networking opportunities sparkle and champagne fizzes throughout the night. 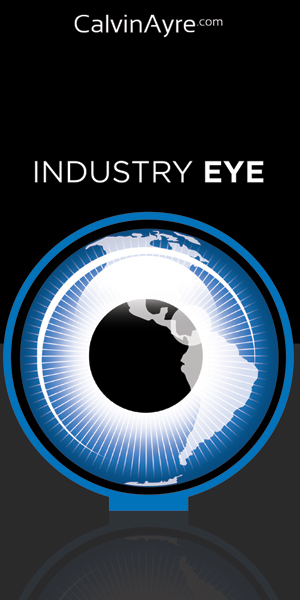 The royalty of the gaming world includes: Industry veteran Sue Schneider-Principal Egaming brokerage is well renowned for being one of the world’s leading experts on the internet gaming industry. Industry legend Mr Andrew Love – Executive Chairman of the Ritz Club, Mark Blandford -Founder and Director of SportingbetPlc and successful Venture capital investor, Peter Caveny – Galaxy Entertainment Group’s top executive ,Michael Levin COO of Sands Las Vegas, Famous sports personality David Schwarz -the Responsible Gambling Ambassador of ALH Group Australia. Our Home (UK) grown talented executives like Richard Noble of Aspers and Jez San of PKR and top executives of most successful global gaming brands. Amongst the glittering gallery of gaming guests and companies, the International Gaming Awards 2012 will be welcoming prestigious firms such as Melco Crown Entertainment, Paddy Power, Galaxy Entertainment , TCSJOHNHUXLEY, bwin.party, PokerStars , Crown Ltd, PKR, Betsson, Bskyb, Playtech, BetSoft , Bally Technologies, Continent8, Cammegh Ltd, 888, Skrill, Rank, Geo and many more. The hopeful IGA finalists can be found here. The IGA’s global gallery of the impressive line-up of supporters and sponsors will be making the event one to truly remember. 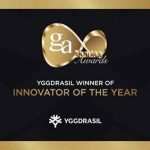 IGA Sponsors include, Playtech, BetSoft, PokerStars, Cammegh, Williams Interactive, Bally Technologies, Optimal Payments, The Ritz Club London, Galaxy Entertainment Group , Calvin Ayre and Empire Recruitment. Our charity item Sponsor is Mr Green sponsoring a dazzling ChopardDiamond necklace which will be raffled at the event in support of Care International charity. IGA attendees will have a chance to Win theChopard “Happy Diamonds” Necklace by buyingsmall Thorntons chocolate boxes for just £20, one of the boxes will contain the necklace. All sold boxes must be open at 9pm! More information about our sponsors can be found here. More details on the charities can be located here. Kickstart your 2013 in style and class. Meet, Mix and Mingle with architects of change at the 6th International Gaming Awards. 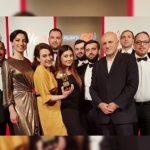 The International Gaming Awards is the most memorable evening of the year with its main focus to support truly deserving charities: Care International , Responsible Gambling Trust and Children with Cancer. It is our 6th Annual Event! The Awards seek to reward excellence in all areas of our industry, not limited to commercial success alone – The awards this year included accolades for Best Operator companies as well as those operators who take social responsibility seriously. 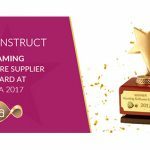 The 6thInternational Gaming Awards set to attract even more industry heavy-hitters and raise more money for worthy causes. It is our industry “Oscars”, when all nominees turn in to the stars for the night! There is no fee to take part; all we ask is that your entry be accompanied by a donation to our chosen charities. Please donate generously.